Contractors now have a self guide (available from the desktop version of RAVE) which helps them to better understand various areas of RAVE. Includes updating their password, uploading files, viewing their schedule tasks and more. The help guide will activate next time they log into RAVE on their desktop. It is now possible to add secondary email address as accounts person so that all updates related to stage claims (requests/amends/deletes) are sent to the primary and secondary accounts people. It is now possible for branch users and contractors to move or copy files between other folders within a project that they have access to. The “Date” column in the stage claims tab has been renamed “Task date” to avoid confusion when applying a date range filter. Files under each folder will be displayed (sorted) with the latest files showing at the top – making it easier to track all of latest uploaded files. Hey guys, just wanted to have a bit of a chat today about the different personality types out there, and how understanding the basics of them can really benefit your team. Some people are naturally well organised, some people are awesome at connecting with people, some people are insanely good at getting things done quickly and some are very loyal and consistent day in and day out. People with different personality types need different things from their team in order to help them feel good and to want to perform well. The reality is, if you want to grow your business, you’ll need to build a strong team. When you know what people need in order to perform, it means that you can help them succeed. It also helps you to understand and predict what areas they will work well in and what areas they will struggle in. When you start to understand personality types, you will have the tools you need to see how your people work and put them in roles that help them be happy and perform well. You will also better understand how to address issues when things aren’t going well and get your team on track and staying productive. If seeing your team functioning well is important to you, then I’d like to suggest a couple of options for you to see the results you’re after. Firstly, click on this link for a free download of more detailed descriptions of the personality types. It describes how each personality type is likely to behave: under pressure, as an employee, in general interaction, and as a business owner. The model also describes how to sell to each personality type and what things they can work on to help them succeed. Following on from this, If you would like some individual help for your team or a comprehensive report for each person on your team then get in touch with me directly so I can arrange that for you. 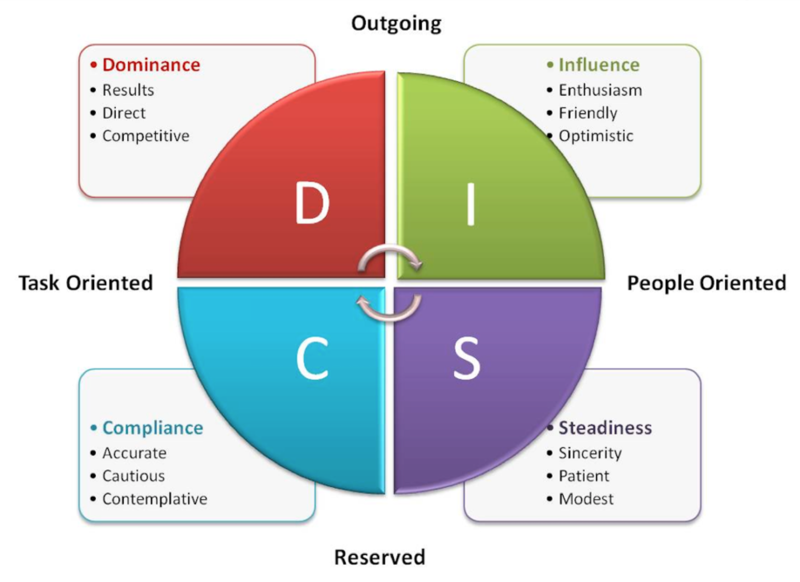 Here is a reminder of the DISC personality type profile. Once again, head to this link to get familiar with a more detailed description of each of these personality types. That’s all from me this week! In the next article, you’ll get some more awesome tips for having a happy and productive team. Date range filter is now added which enables user to export results in desired date range. Can search within few key tasks by date range. By default, all key tasks are checked. User can now search with job number, lot number, project manager, client name and address by entering in global search box. Can also search with the project status. Exports CSV with only the search values. Stage claim “Paid” has been renamed as “Due”. “Paid Invoice” pop up has been renamed as “Invoice payment”. “Stage Claim paid Invoice” has been renamed as “Stage Claim Invoice payment”. 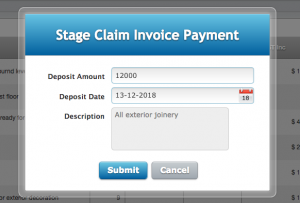 Once a stage claim is “Paid”, a PDF receipt is generated in both branch login and client portal – if permission for the client to view stage claims has been granted. User can now reorder new checklists by moving them either up or down.